This nighttime tour of Munich was both fun and informative. Our tour guide was really good, he would talk a lot but joke along as well. It's actually my second time here in Munich and I still had fun in the tour. Hofbräuhaus is even better than I remember it from the first time. Always love German beer! I missed out on Olympic Tower last time so it's my first time there, really good place for a photo and good view of Olympic Park. 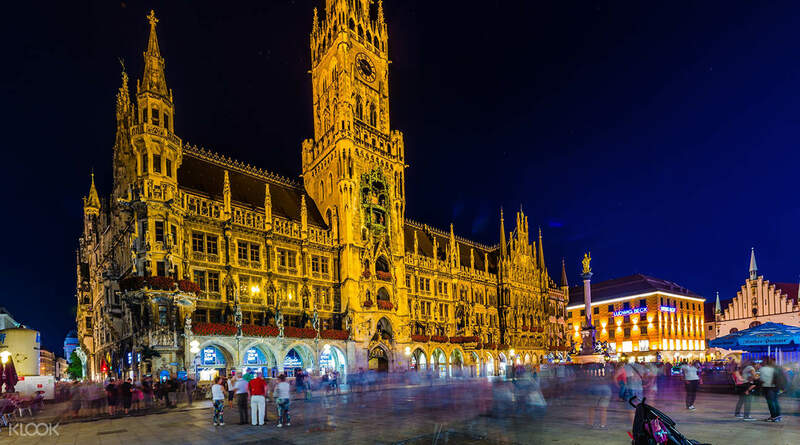 A city can change so much when nighttime falls, and Munich's night life transforms the metropolis into a spectacle of lights and sounds. 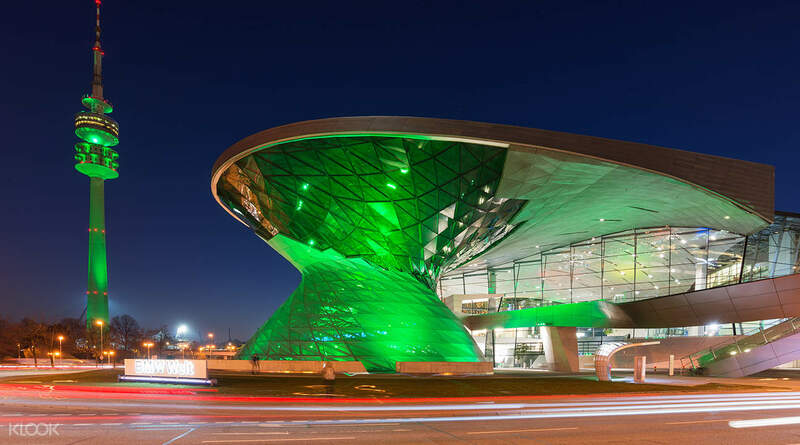 This tour of Munich by night is a whole new way to experience what the city has to offer. Riding in a bus, you'll see how much the city changes and what the night life in Munich is like. 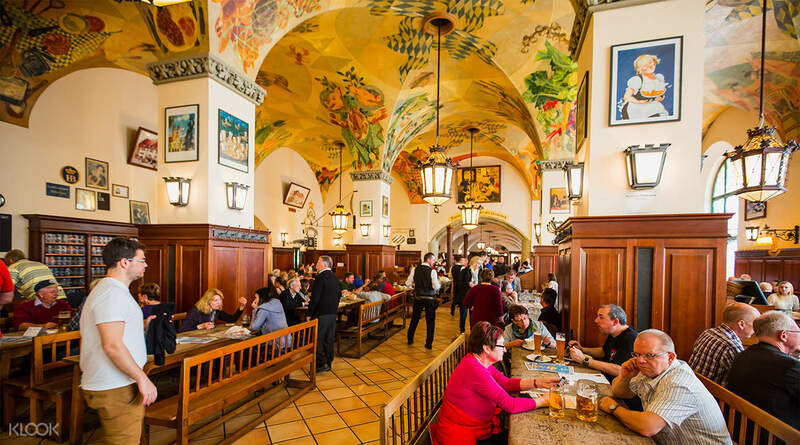 You'll do your exploring escorted by your guide as you go around the town, and then head into dinner at world-famous Hofbräuhaus. But would a tour of Munich's night life be complete without a visit to the Olympic Tower. There's nothing like having great time on the tower with a drink to go with it , all while seeing the night lights of Munich glittering down below. Have a drink in the Olympic Tower! 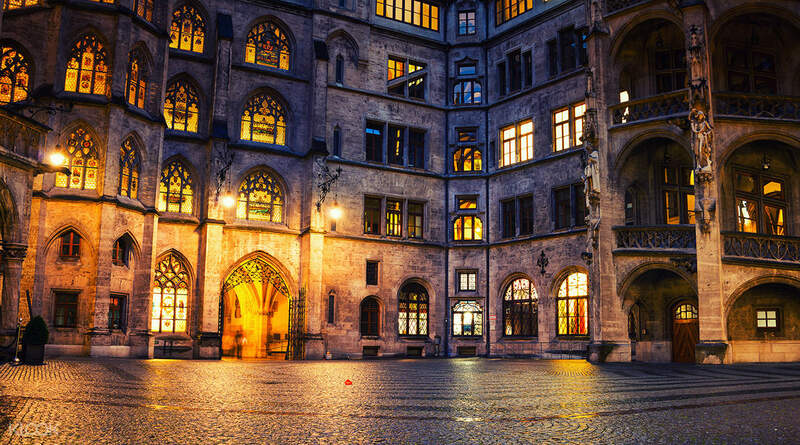 This nighttime tour of Munich was both fun and informative. Our tour guide was really good, he would talk a lot but joke along as well. It's actually my second time here in Munich and I still had fun in the tour. Hofbräuhaus is even better than I remember it from the first time. Always love German beer! I missed out on Olympic Tower last time so it's my first time there, really good place for a photo and good view of Olympic Park. This nighttime tour of Munich was both fun and informative. Our tour guide was really good, he would talk a lot but joke along as well. It's actually my second time here in Munich and I still had fun in the tour. Hofbräuhaus is even better than I remember it from the first time. Always love German beer! I missed out on Olympic Tower last time so it's my first time there, really good place for a photo and good view of Olympic Park. The punctuality and content are correct, the tour guide is responsible for explaining the details, only the meal time is longer, the driver is very friendly, a good night tour!! 行程準時和內容正確,導遊盡責講解詳盡,唯用餐時間等比較長時間,司機很友善,一個不錯的夜遊! !